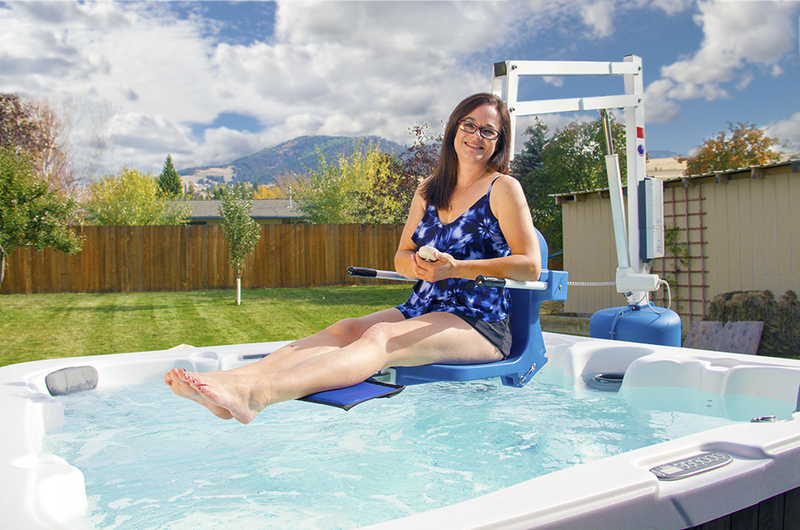 The Spa Lift Ultra is lift designed to provide access to both residential and commercial elevated pools & spas. The Ultra is constructed of quality stainless steel with a durable powder coat finish. Easy push-button handset operation allows for 360 degree powered rotation. The Spa Ultra Lift provides access into hot tubs, spas and swim-spas and is fully automatic so a user can retain their independence. The lift is manufactured of powder coated stainless steel and installed using 3 bolts/socket inserts which are all supplied. The Spa Ultra is powered by a 24V rechargeable battery and operated using a 4-way hand-held control so is able to rotate through 360°. Supplied with a moulded seat with lap strap and adjustable leg rest, this Spa Ultra can raise over a wall up to 51 inches (129 cm) high. Access your personal backyard or commercial spa environment while enjoying the benefits of relaxation along with increased independence.